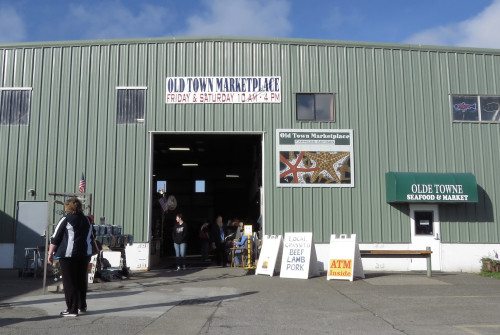 Many of the vendors at the Old Town Marketplace will remain open an extra hour on Saturday as the Marketplace will be one stop on the Nog/Wine Walk and Cider Stroll. They will feature appetizers and wine from Farm & Sea, The Bandon Shed/Beverage Barn and John’s Famous Chowder. The Nog/Wine Walk and Cider Stroll through Old Town Bandon will proceed the Bandon’s Lighted Christmas Parade on Saturday from 3:00 to 5:00 PM. Glasses for the walk will be on sale and available at 3:00 for $10 at the Cobbler’s Bench. The parade will progress down Second and First Streets in Old Town Bandon beginning at 5:15.